Jumanji 3 was recently officially announced with a release date of December 13th, 2019. While that news is incredibly exciting for fans of last year's Jumanji: Welcome to the Jungle, it's a lot of pressure for director Jake Kasdan as well as co-writers Jeff Pinkner and Scott Rosenberg, who are still crafting the story as of this writing. The first installment filmed in the fall of 2016 for a December of 2017 release date, which means that Jumanji 3 is going to have to start filming really soon. In a new interview with Collider, Jumanji 3 director Jake Kasdan revealed that he hopes to start production in the beginning of 2019, which gives the cast and crew at just under a year to complete the film. Kasdan said, "the idea is to make the movie at the beginning of the year... if we can get it all worked out." It was imagined that the third installment would follow the pattern of the sequel with filming set for this fall. However, Kasdan says that will not be the case. It's evident that the director is highly aware of the pressure to get the story right and be able to film everything in a short amount of time. Jumanji: Welcome to the Jungle was a pleasant surprise for old fans and newcomers to the franchise, but the last movie will make it difficult to follow up for a few reasons. Number one, last year's sequel was a smash at the box office, nearly making $1 billion worldwide. That's already pressure to have to compete with themselves. Additionally, the story was made up of individuals that had to get used to their new avatars, which was part of the original charm. Now, the characters know each other and the their alter egos. The story of Jumanji 3 is going to have to undergo some major tinkering to get to a story that's as imaginative and original as the last film. While Jake Kasdan would not offer up any information about what Jumaji 3 will be about, partly because they're currently writing it, he did seem confident that he and Jeff Pinkner and Scott Rosenberg had come up with something special that they are all excited about. 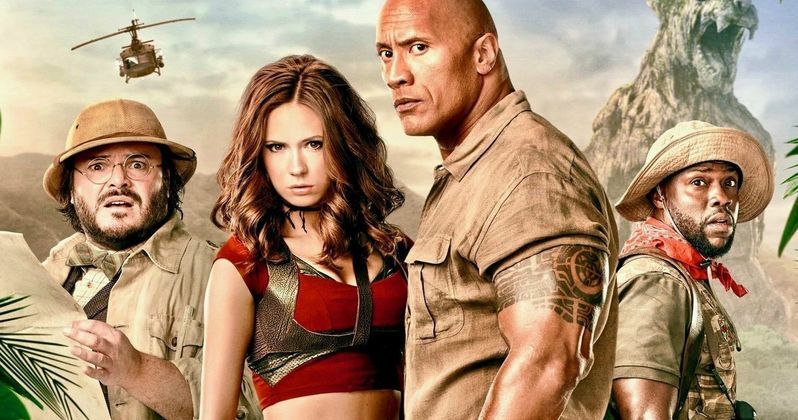 The director also indicated that he is preparing to spend the next year-and-a-half on Jumanji 3, while also highlighting that there is still a lot of work to be done over the next few months to get the story fleshed out. As for whether or not Jumanji 3 will return to Honolulu, Hawaii to film, Jake Kasdan was unsure if they will be returning at this time. The Hawaiian jungles served as an important backdrop for the last movie, so it was thought that they would be making a return. While Kasdan admits that they would all love to return to Honolulu, he also states that, "we have not sorted out the locations yet." Basically, there's a lot of work that needs to be completed on Jumanji 3 before any wheels start moving. You can watch the interview with Jake Kasdan below, thanks to the Collider YouTube channel. The production start and location talk appears at the 3-minute mark.